We love working with unique decor palettes, and this palette -- featuring peach, green and gold -- was no exception. Pink Rock Events coordinated this wedding, and Square Root Designs handled the fabulous florals. 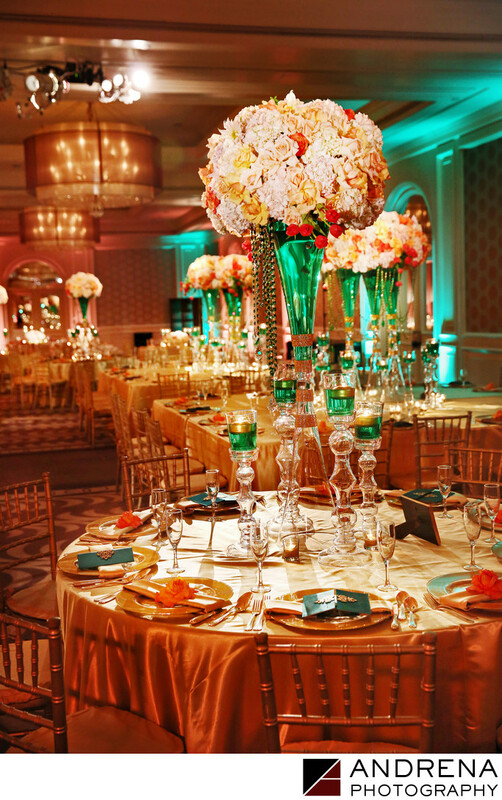 The use of green water in the vases really gave the room a nice pop, as did the use of mixed green and amber uplighting for the ballroom walls. This event took place at the Ritz-Carlton Laguna Niguel, and was published in Ceremony Magazine.